On any given day, you copy and paste so many items that you probably don't even think about it. But just imagine how much more productive you'd be if you could copy and paste more than a single item to the Windows clipboard at a time! Clipstory gives you that exact functionality, and so much more. 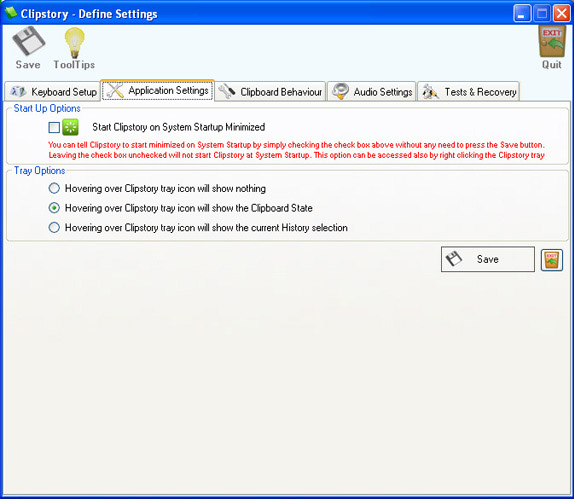 With Clipstory, every item you copy to the clipboard is saved in a history file. 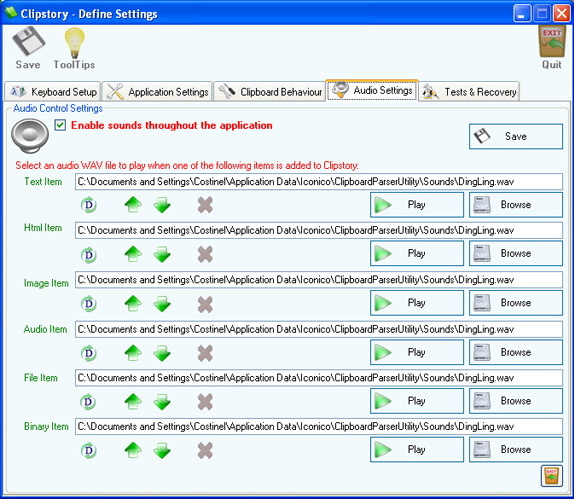 Later on, you can quickly cycle through your entire history of copied text, files, images, audio and binary data! 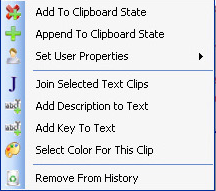 Not only does Clipstory allow quick access to frequently used clips, you also have the ability to tag items, see extra details about each clip, and save clipped items to disk. But wait, it gets better! You can set up Clipstory to automatically save clipped items to folders based on their data type, even going as far as to instantly convert image files to your desired format! 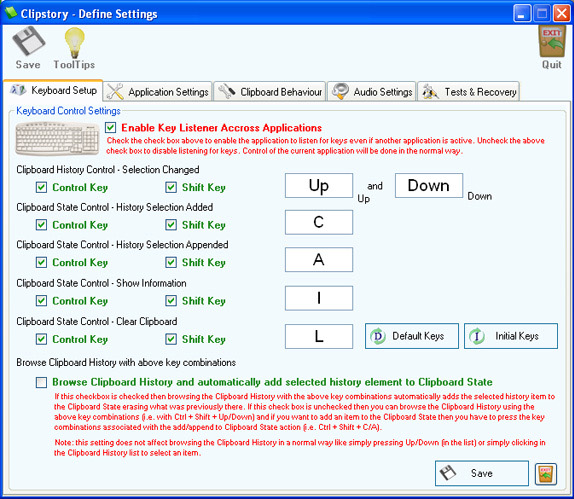 Maintain a history of everything that you copy to the clipboard. Quickly cycle through your history of clipped items for easy access. Tag items, or view detailed information. 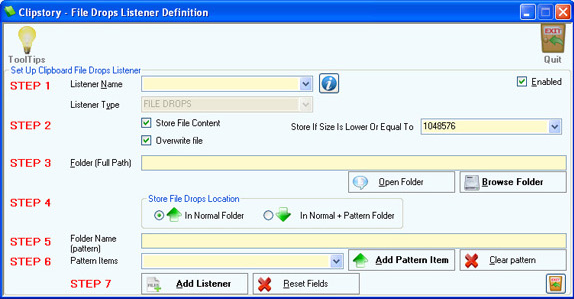 Automatically save items to folders based on file type. 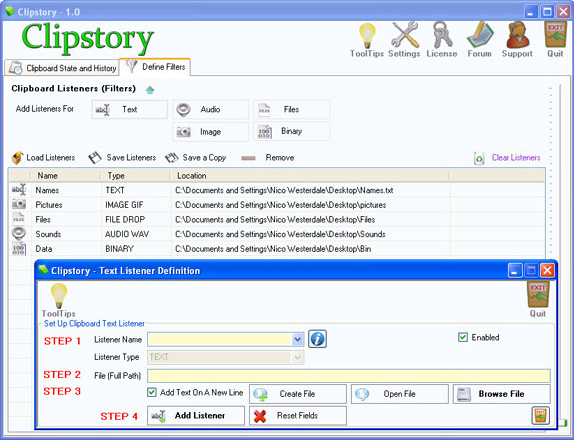 After you purchase Clipstory it may be used indefinitely. Clipstory is licensed per computer, and not per user.